An Excess of Political Humor? Political humor is a wonderful and necessary rhetorical tool in shaping our perceptions about politics and politicians. Growing up in the 80s/90s, I was shaped in part by the many hilarious impersonations of politicians by one of America’s most notable comedic institutions: Saturday Night Live. A number of SNL’s most famous impersonations have become more ingrained in our culture than the actual politicians. When done well, political humor reveals critical truths about politicians, policies, laws, and societal injustices, all in a way that makes us laugh and makes topics a bit more palatable and approachable. Even scorching criticism can be made to seem charming in the right hands; Fey’s Palin is a good example. In some ways, so is Jimmy Fallon’s Trump impersonations, like when he played Trump with the cast of Full House. In this way, humor invites a larger audience into important discussions. Upon taking over The Tonight Show, Jimmy Fallon was advised by his predecessor Jay Leno to lengthen his monologue because it isn’t just a source of laughter, but also as a way to inform people about the news of the day. And the same can be said for other famous sources of political humor like The Daily Show and The Onion. However, I wonder if our round-the-clock access to social media, communication, and information has created a detrimental excess of political humor. This week provided one possible example. On Monday night, Donald Trump’s wife Melania spoke at the Republican National Convention. By the time I woke up early Tuesday morning, reports were posted everywhere that she had plagiarized a portion of her speech from a Michelle Obama speech. By the time I arrived at work, I had already seen countless posts across social media making fun of Melania and the situation. When I checked social media at lunch, the flood of jokes had not even slowed, nor had they when I checked social media again in the early evening. The jokes were coming from all levels: from regular folks to major publications and shows. Just to be clear, I have no allegiance or affiliation to either political party or candidate, and my example is not a veiled defense of Melania or the situation. I am all for anyone and everyone calling out any politician or any of their associates who do or say anything wrong, and I want people to be able to have productive dialogue about important issues. And that’s really a major part of my concern with the excess of humor. Political humor, when done well and delivered in the right doses, inspires productive dialogue. But the well done doses are now surrounded by floods of other material, much of which is unfunny, and some of which can even be insulting and inflammatory, which just serves to shut down dialogue, not inspire it. Partly, the poor material is a product of the “writers”; there is obviously a world of difference between John Q. Facebook trying to be witty and the professional writers developing material on shows like SNL, The Tonight Show, and The Daily Show. Plus, on social media, many of the posts are just playing to the lowest common denominator to get attention and more ‘Likes’ while having zero concern for promoting thoughtfulness and dialogue. Ultimately, the comedic congestion can turn important issues into white noise, meaning the inspired political humor that is aiming to be informative and transformative is getting partially (or completely) lost in the buzz. And if the flood of voices “kill the joke” so quickly, are people burning out on subjects before ever taking time to give the subject some proper thought and conversation? The Process of Understanding History. About a month ago, Salon.com ran a video/story that depicted today’s college students in a pretty negative light. As explained in the short article beneath the video, a group of politically active students went around Texas Tech University asking their classmates simple questions about American history. ‘Who won the Civil War’, ‘Who did America gain it’s independence from?’, ‘When did we gain our independence?’ and ‘Who is the Vice President of the US?’ were a couple of these softballs. It wouldn’t be newsworthy if the students answered correctly, so you can guess how they responded. In the hyperbolic language of the Facebook scroll, Salon by-lined the video by warning it’s readers that it would be ‘the most terrifying thing you will see today’. Now as a history teacher, I am appalled that any American over the age 12, much less college students, would not know these simple facts. But I try to keep an important point in mind: This video is edited to peddle the groups’ agenda. As Stephen Colbert illustrated in his mocking of a similar series of videos done by Fox News, you really need to take these experiments with a grain of salt. People seem to love laughing at their fellow citizens’ ignorance, so, of course, you only see the most blatantly absurd respondents. But how many of the people asked these questions actually know the answers (what percentage is that? ), and hence, don’t get on camera, compared to the ones who did not know the answers (the minority?). We never will get the true numbers, and so we are left believing Americans are the most laughably ignorant of people. And it is comedic. The students and Bill O’Reilly have political points to make, but as far as I know, Jay Leno’s ‘Tonight Show’ was the first to really practice these question/answer sessions with unsuspecting strangers. His cringe-worthy experiment of interviewing ignorant Americans has been taken up recently by Jimmy Kimmel’s late-night show. Interestingly though, the fact that these skits are so popular and funny illustrate an important paradox. The audience find humor in these videos because we understand how absurd it is to not know these facts; in other words, the majority of the audience know the right answer to these questions, and can laugh at those who do not. If the audience was similarly clueless as the interviewees, these videos wouldn’t be entertaining. So, these videos are no big whoop, right? Not so fast! As I ponder these interviews, I find something much more disturbing than the obliviousness of a couple poor rubes. I ask myself: Why is it a sign of historical intelligence to simply restate facts? Why do millions of viewers believe knowing trivia makes you ‘smart’, or well-versed in history? What is the end-game here? In the study of history, such quantification of ‘knowledge’ is inherently destructive. When history results are graphed by the number of facts you can remember, the meaning of the subject has lost it’s central importance. Think about it: If these kids knew who won the Civil War, would it be all that edifying in regards to their knowledge regarding the event? If they could identify a picture of James Madison, would that tell us anything in regards to their ability to be good ‘citizens’? This seems to be the notion behind such recorded questionnaires. If you can recognize Madison, if you can say who won the Civil War, if you can identify what country America gained independence from, then you are one of the enlightened, and our education system is working. But, this is a ridiculous assumption. Rote memorization or facial recognition does little to illustrate your understanding of a topic. I have an anecdote I like to tell my students that illustrates my point. I took American history in 11th grade. My history teacher was fine. He was funny, and likable. But, his notions of what proved your knowledge of history was sometimes questionable. For instance, in his course, each student was required to memorize an important speech that shaped American History. Like many others, I recited the Gettysburg Address. One day, I sat at his desk and repeated verbatim the words of Lincoln’s revolutionary 2 minute masterpiece. I did this with no hesitation, and knew every word, and hence, I received an A on the assignment. Repetition was the only thing necessary for memorization. Memorization was the only thing necessary for an A. Though I was able to repeat Lincoln’s political poetry back word for word, I actually gained no understanding as to why the words were so important! My teacher never dealt with WHY Lincoln’s call for a ‘second birth of freedom’ was radical in comparison to the first ‘four score and seven years’ of the American Republic. For that A, I recited each word robotically. I was asked to be an automaton, and automatons don’t make ‘good citizens’. Not until college did I realize that history is not only about the who, what and when questions. The litany of facts mean little compared to understanding the larger concerns: HOW and WHY. Like so many American school kids, I rarely got either. This is why if I had a student who showed up on one of Jimmy Kimmel’s or Bill O’Reilly’s videos, I wouldn’t really care if they could not tell you when the Civil War ended. But, I would hope beyond hope that he would be able to explain to the interviewer why it was fought. I am sure such critical explication wouldn’t make for the greatest news blurb for viewers to laughingly cringe at, but it would be much more telling of the interviewee’s knowledge. Colbert in the Mainstream: My One Concern. One of the biggest entertainment stories of the last week was the announcement that Stephen Colbert will be taking over for David Letterman as the host of Late Night next year. This news has created some waves, and not just on the entertainment pages. 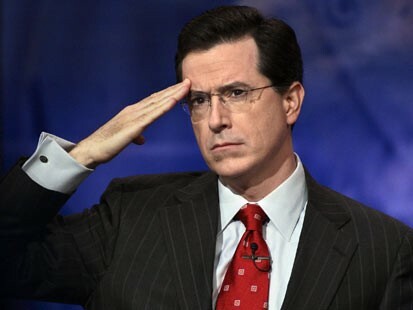 Many fans of Colbert have expressed concern that he will no longer be playing the role of ‘Stephen Colbert of The Colbert Report‘, and instead will be simply ‘the real Stephen Colbert’. The ‘Report’ watchers want Colbert to retain his egotistical, self-loving, arrogant conservative political commentator persona in his new role. It looks like they are going to be in for a disappointment. For others though, that fake conservative persona is exactly why they feel Colbert should not be allowed to take over for Letterman. Colbert is obviously liberal, and most of his satire has been directed towards the more conservative talking-heads in today’s Washington and in the world of cable news. Hence, Colbert’s humor can make a good many influential figures squirm. 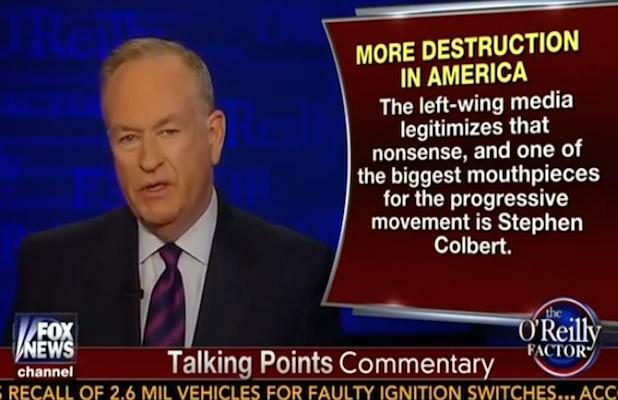 Bill O’Reilly, who Colbert’s character is most obviously based upon, recently called Colbert a ‘deceiver’, and an ‘ideological fanatic’. Being on CBS will give Colbert a much larger sounding board, and this is frightening to many like ‘Papa Bear’. Thus, after the announcement that Colbert would be succeeding Letterman, Rush Limbaugh vituperatively claimed that Colbert’s hire meant that ‘CBS had declared war on the heartland of America.’ This may have been classic Limbaugh hyperbole; or, perhaps he actually believes all Colbert watchers live exclusively in New York and San Francisco. Either way, he loses here. Personally, I love Colbert. If he is ‘The Stephen Colbert of The Colbert Report‘, or the ‘real’ Stephen Colbert makes little difference to me; he is funny as hell either way. But, I do have one concern about his move to CBS, and that is this: What is going to happen to Colbert’s guest line-ups? Colbert’s choice of guests over the years on ‘The Report’ have been nothing short of revolutionary. Learning from his big-brother program ‘The Daily Show with Jon Stewart’, Colbert provides a fresh intellectual breath of air amongst the staid landscape of mindless TV talk shows. While most talk shows interview celebrities, or cutesy human-interest guests, Colbert (and Stewart) have continually provided their audiences with a wide-range of less famous, but more important guests. Sure, Will Ferrell will sit down with Stephen one night; but on the next night, Jane Goodall will stop by. Brad Pitt on Monday; Tuesday and Wednesday, Neil de Grasse Tyson and Steven Pinker. If he keeps such guests, Colbert’s move could be a radical change for American late-night. If he doesn’t, and becomes just another Leno or Letterman, viewers will have lost more than simply his fake conservative persona. Listen All Y’all – It’s Comedy Sabotage! This week, I have been visiting the Introduction to Communications courses at Robert Morris University to sell freshmen on taking my News Writing course next term. 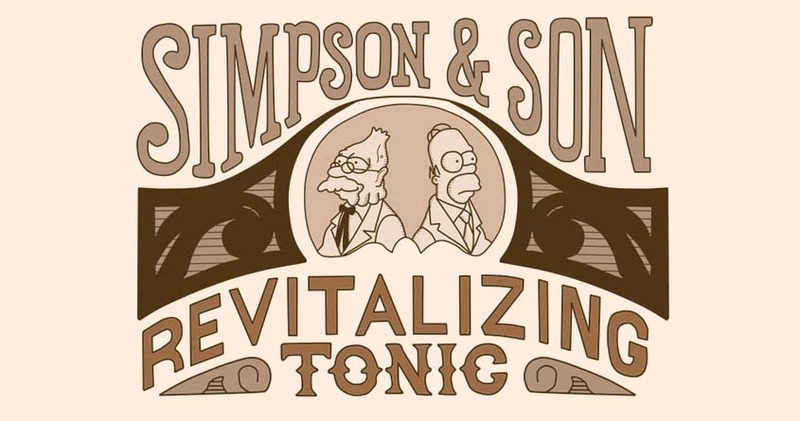 My colleagues have been generous in allowing me to steal some of their class time so I can make my pitch like an old-timey Miracle Tonic grifter. And then there was Mr. David Pyle, the wiley saboteur. Mr. Pyle is a comedy ninja. He waits silently in the shadows during office hours and meetings until the opportunity presents itself, then he leaps into the light, dropkicks you in the face with a brilliant joke, throws down a smoke bomb, and vanishes. He is effective and efficient. 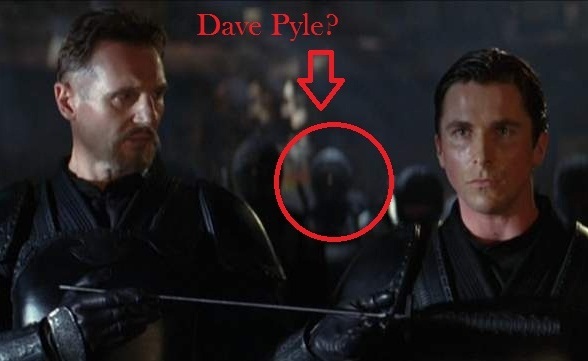 This may be because he trained with the League of Shadows’ little-known, yet highly successful Stand-up Comedy program. I am fortunate to work with lots of funny people, and Mr. Pyle may be the funniest of them all, in part because he isn’t one of those obnoxious people who spends all day trying to be funny. Like me. Which brings us to yesterday when I visited his class during my promotional tour. He stepped in front of class and introduced me by stating that, in the past couple years, he has been forced to relinquish his title as funniest person at RMU to me. You may think he offered me a great compliment. In that moment, given the hype, I had to immediately say something hilarious to retain this title that was thrust upon me. It couldn’t be “lol” funny, or “LOL” or even “LMAO.” It had to be full-on ROTFLMAO. Which of course means I had nothing. Absolutely nothing. I think I may have hiccuped, or sniffled, but that’s about it. Pyle was victorious. He drank my milkshake. He sank my battleship. He shake and baked my title as comedy king, and I helped. And that means that, once again, the Crowned King of Comedy at RMU is one Mr. David Pyle. It is hard for anyone, in any field, to live up to lofty expectations. Pyle pushed me up onto the pedestal and I tumbled. I believe this was premeditated, that crafty saboteur. Now he can rest easy after knocking down his competition. 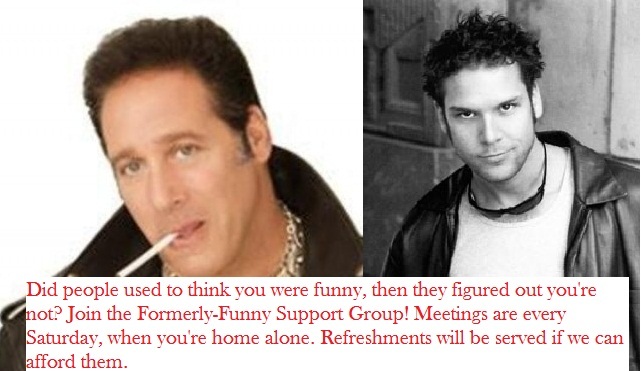 Before, I may have been considered mildly funny, but now my comedic worth has fallen so far that I am going to start a support group with Andrew Dice Clay and Dane Cook. Though I failed, I believe Mr. Pyle is funny enough to live up to the lofty comedy expectations, or even surpass them. He’s just that funny. For example, he would still be funny if someone wrote a post on the internet about how funny he is. Or if a colleague started a Facebook fan page that asks people to “LIKE” if Pyle is funny. Or if that same colleague bought the domain name “PylesOFsmiles.com” for a comedy tribute website. Or to sell to him if he becomes a dentist or the CEO of Orbit gum. Yes, expectations can be rough. But Mr. Pyle’s got this! Just you wait and see. He will respond to this post with the funniest thing you’ve read this week, or maybe this month, or maybe EVER!